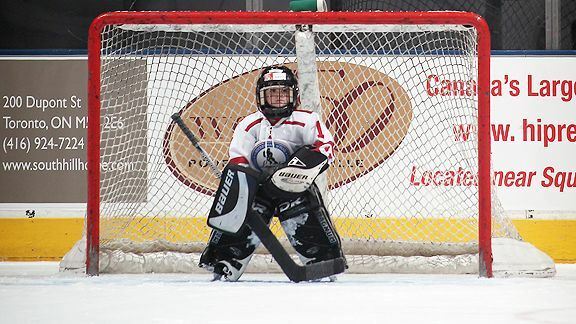 There’s been a lot of talk recently about how to improve the game of hockey– bigger nets, smaller goalie gear, smaller goalies, more teams, and so on. But I would ask a different question: What’s so wrong with it right now? It’s true that it’s getting harder out there for goal scorers. Last season saw the lowest league-leading scoring total since Stan Mikita could only muster up 87 points in 1967-68 (in a 74 game season). The days of Gretzky scoring more than 200 points per season are long gone. But so are the days when only a few teams in a given year had a real chance to win it all. During the high-scoring days of 1969-1993, eight different teams won the Stanley Cup. In those 25 years, Montreal won it nine times. Edmonton won it five times. In the 20 years since, 11 different teams have won the Cup, and only Detroit has won it more than three times. The scoring hay-day created some historic moments and essentially shaped the brand of hockey that fans expect from the stars of our game today, but I think many of those championship teams would be hard pressed to be in the top four or five in today’s NHL. The way the game is played today hardly resembles that of the ’80s Oilers, but that’s not to say that today’s NHL is worse. Far from it. With the decline in goal-scoaring has come incredible parity across the league. What’s better from a fan’s perspective, seeing lots of goals or seeing your team in a battle every night? In today’s NHL, every game is important. Anybody can beat you if you have an off night. That’s the spirit of competition in a nutshell. Strong competition was one of the driving forces behind the last few lockouts– maintaining a level playing field for all teams by preventing one team from simply forking over enough money to buy success. We’ve seen that come to fruition over the last two decades, and the league and the game are in better shape because of it. Yes, the game is hard and only getting harder. But therein lies the beauty. Achievement in the face of adversity tastes that much sweeter. The season Jamie Benn had last year is equally impressive as any previous scoring champion who put up 30+ more points, if not more so, because he did it in one of the best defensive seasons in history. He found a way to score when the game was at its strongest. That’s quite a feat, and he doesn’t get enough credit for that. I’m all in favor of tweaking rules that will speed up the game, increase player safety, and create more offense. Recent subtle changes have made a very positive impact on the game without changing the face of what we already love. No-touch icing has made the game much safer. Removing the two-line pass and giving a penalty for shooting the puck over the glass have helped create minor advantages for the offensive team. Those are great changes, in part because they made the game better without making it easier. That’s where the current conversation goes wrong. It seems based on the premise that it should be easier to score goals. If you are just looking to create more goals, making nets bigger or goalie pads smaller are obvious quick fixes. But to a lot of hockey fans (and players) out there, it’s not just about going to the rink and seeing as many goals as possible. It’s the game itself that we love. Call me a purist, call me afraid of change, but the game has evolved over time, and I think people appreciate that. The numbers don’t lie in that scoring is down, but that isn’t necessarily a bad thing. Hockey is still the fastest game on earth. It’s still the most dynamic combination of speed and athleticism in the sports world. So if it’s not broken, why fix it? Andrew Gordon plays right wing for Linkoping HC of the Swedish Hockey League. He previously played for the Washington Capitals, Anaheim Ducks, and Vancouver Canucks of the NHL, and won two Calder Cups with the Hershey Bears.